Home Course features North Palm Beach Country Club – The Course Redesigned by Jack For The Princely Sum Of One Dollar. 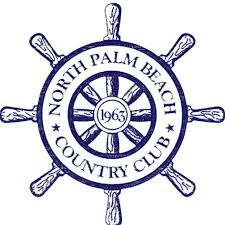 North Palm Beach Country Club – The Course Redesigned by Jack For The Princely Sum Of One Dollar. 4 months ago by Bernie McGuire Comments Off on North Palm Beach Country Club – The Course Redesigned by Jack For The Princely Sum Of One Dollar. The North Palm Beach Country Club is just a short drive from the home of the Golden Bear – Jack Nicklaus. It’s a public golf course located in an area of Florida saturated by far too many private and members-only country clubs. North Palm Beach is also strangely just one of two municipal courses designed by Nicklaus. The first was Breckenridge Golf Club in Colorado, which opened over 20 years ago to rave reviews and remains one of the state’s most successful public-access courses. And Nicklaus agreed to put his 18-Majors winning design touch on the North Palm course for the princely sum of $1 – Yes, just $1. The North Palm Beach Country Club course was built in 1926 and was one of the last courses designed by Seth Raynor but then, as Nicklaus says on his website, most, if not all, of Raynor’s influence had disappeared, whether it was the effect of the years or the renovations that have taken place at different points and times. The last renovation before Nicklaus was in 1989. What a stunning location with the North Palm Beach Country Club course (looking from north to south) bordering the Palm Beach Waterway on the north and west sides. To the immediate east is US Highway #1 and further east is the Intercoastal Waterway and the Atlantic Ocean. In April, 2006 work began that included a new irrigation system, total re-grassing of all playing surfaces, new greens construction, improved fairway surface drainage, and resign work. Earlier the next month, and on May 2nd, 2006 to be precise, hundreds of Palm Beach residents, including the 18-time Major winning Nicklaus, gathered for a ground-breaking ceremony to celebrate the renovation and re-design of the course. One of Nicklaus’ first questions in taking on the work was if his proposed redesign would fit into the property of less than 125 acres. North Palm Beach is located right on US Highway #1 on the eastern boundary and less than a mile from Jack Nicklaus Blvd and also Nicklaus’ ‘Golden Bear’ head office. 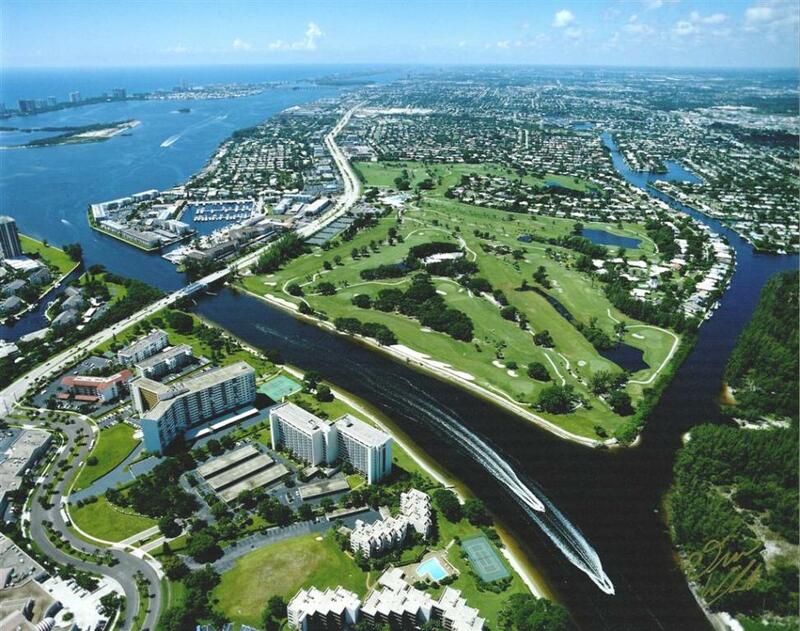 To the north and west, the course borders the North Palm Beach Waterway that leads eventually out into the Atlantic Ocean. So, it is a prized property location among so many multi-million-dollar dwellings. North Palm Beach Country Club with the 6th hole (and this author’s favourite) in the immediate foreground. “The property was pure sand, with different varieties of sand–white, grey and orange sand while the orange sand turned out to be some of the best bunker sand we have found in the state of Florida, from what we call a ‘fried egg standpoint.’ It’s very angular sand,” Nicklaus added. “As for the design itself, I felt the property deserved a strong golf course from the back tees, a very user-friendly and forgiving golf course from the member and senior tees, and an enjoyable golf experience for the women. “That’s what I tried to do. We ended up with a par 71, playing just under 7,100 yards from the back tees. “When we started, the course was a par 72 and 6,300 yards. For the first 180 to 200 yards off the member tees, it is very wide, so there is plenty of room off the tee, thus making it very user friendly for the seniors and members. “The better golfer you are and the farther you hit the ball, the more you have to play golf. The greens have nice movement to them. There are several lakes on the golf course to add to the strategy and overall look. “I think this golf course will be an interesting golf course from a visual standpoint and it will be a very photographed course. From the member and visiting golfer’s perspective, it should be a fun golf course to play. 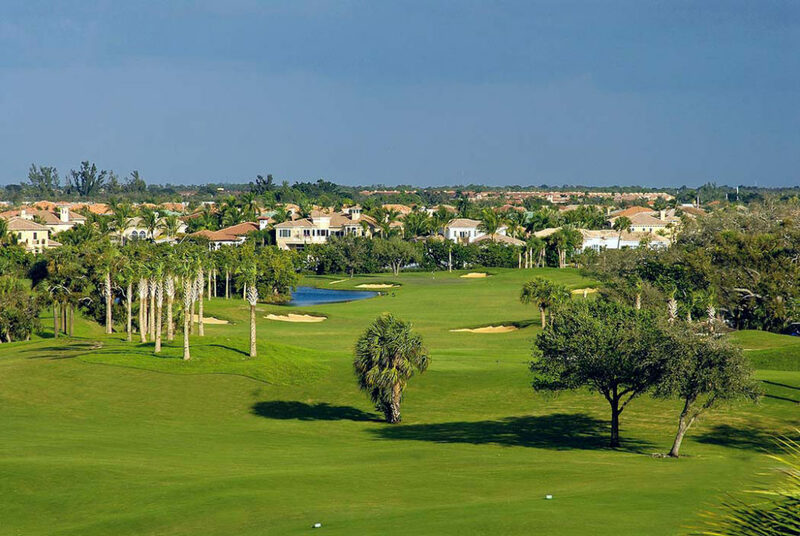 “Overall, I think North Palm Beach Country Club will be a great addition and showcase course for the Palm Beaches…and, as a bonus, built under budget”. And Nicklaus’ reason for undertaking the redesign was simple. “I have lived in North Palm Beach for more than 40 years and I feel that it’s a good community, a community that has supported me and my family,” he said. “This was my way to give a little something back to the community and the people who have given me so much. If I am able to do that with a very good, modestly priced golf course for the people of the Village, that brings a certain sense of satisfaction. “It was a fun project, and one of which I am very proud”. On Friday, January 17th 2007 more than 500 guest along with Palm Beach residents and Mayor David Norris, were present for the official opening of the Nicklaus redesigned North Palm Beach course. Nicklaus was then joined by his sons, Jack 11 and Gary for an 18-hole exhibition match to celebrate the opening. 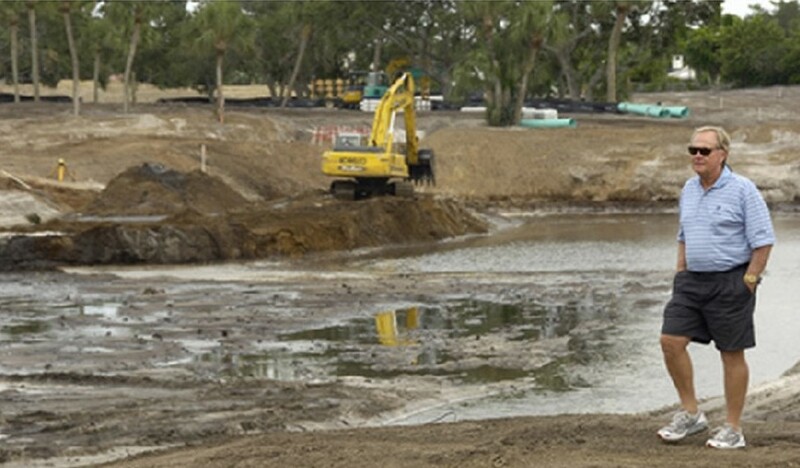 It was one of 18 Nicklaus designed courses to open in 2006. But unlike any other redesigned by Nicklaus as it came with a very minimal price tag – $1. 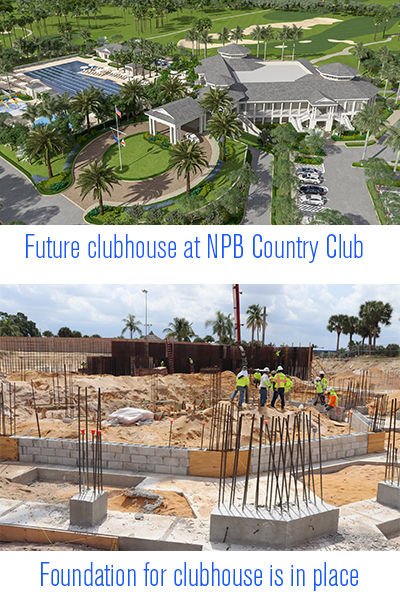 UPDATE – New Clubhouse for North Palm Beach Country Club. A new 37,000-square-foot clubhouse at the North Palm Beach Country Club is beginning to take shape. Work began August 3rd, 2018 on the $18 million project, which is expected to be complete by the end of the 2019 summer. Crews spent much of last week preparing the ground for the building’s floor and foundation, and will pour cement this week, village spokesman Ed Cunningham said. When complete, the clubhouse will include a community room/banquet facility, restaurant, pro shop, locker rooms and storage for golf carts. It will overlook the Jack Nicklaus Signature golf course, which was redesigned in 2006. The par-71 course was closed earlier this year to install sod but will reopen in December. The previous clubhouse, built in 1963, was demolished in June. It had expensive maintenance problems because of its age, Cunningham said. The village took out a $15 million loan in 2017 to help pay for the clubhouse, Cunningham said. It will be repaid by tax revenues from the general fund and by income from the golf course and restaurant. The village’s pool, which was built along with the original clubhouse for $400,000, will remain open during construction. The new clubhouse is among a number of ongoing construction projects at the country club. Like the golf course, the driving range also is closed for renovations and upgrades. New lighting and grass are being added, Cunningham said.